The CAPRICORN® 2.0 led recessed downlights work perfectly with high efficacy of 110LM/W with wide range of watts ranging from 10W to 32W. 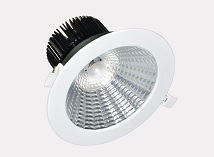 They provide good quality lighting with reliability and exceptional energy efficiency, as well as offering wide beam optics of 24°, 38°,60° and 90°. 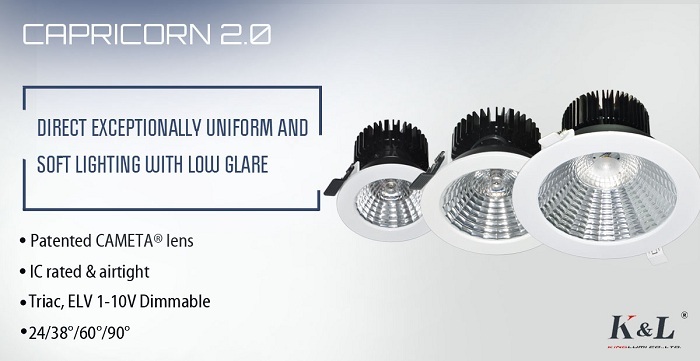 Equipped with patented CAMETA® TIR lens and faceted reflector, the CAPRICORN® 2.0 recessed led downlight kits perform perfectly with exceptionally uniform and soft lighting of low glare. 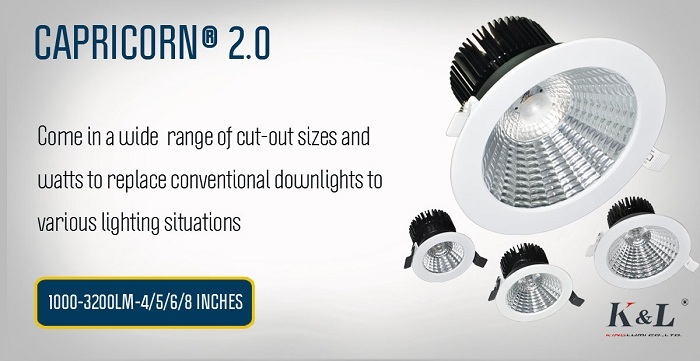 Available in four cut-out sizes of 4 inches, 5 inches, 6 inches and 8 inches, the CAPRICORN® 2.0 dimmable recessed downlights are the ideal light fixtures to replace conventional downlights for various lighting applications such as offices, shopping malls, supermarkets, reception areas, corridors , residential areas and so on. These dimmable down lights direct high-quality lighting utilizing high color rendering index of up to 90 and come in a very wide range of color temperatures including 2700K,3000k,3500k,4000k and 5000k. 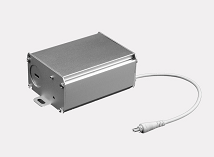 • System efficiency up to 110LM/W, producing bright and clean lighting over entire spaces while saving up to 65% energy than conventional downlights. • Offered with cut-out sizes of 4 inches, 5 inches, 6 inches and 8 inches to suit the needs of various commercial and residential general lighting applications. • Come in a wide beam optics of 24°, 38°,60° and 90 ° for versatile and desired lighting solutions. • With high color rendering of 90 to dramatically improve the appearance and color quality of illuminated objects.